Pixies will celebrate the 20th anniversary of their album Doolittle with an appropriately titled tour - The Doolittle Tour - that will see the band play dates in London, Dublin, Scotland, among other cities in October. On this tour, Pixies will perform all of the songs from Doolittle and its related B-sides. Pixies' classics such as Debaser, Wave Of Mutilation, Here Comes Your Man, Hey and Gouge Away are all on Doolittle's tracklisting. In related news, Pixies are set to release theultimate collector's set, Minotaur, a career-spanning package, which will be ready to ship to purchasers in early October. To find out more about Minotaur and to order a copy, click here. 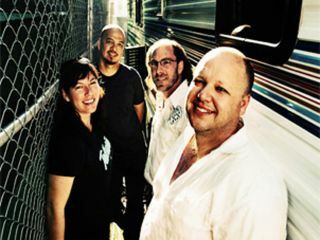 For more information on Pixies' Doolittle Tour and dates, click on the band's MySpace page.